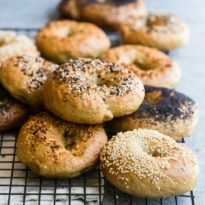 Not all bagels are created equal; in fact, truly great bagels are so hard to find, I decided to learn how to make bagels at home. This recipe for the classic bagel is easy to follow; once you get the basics down, switch up the toppings and flavors to delight every bagel lover in the house. In time, this recipe just may become a part of your weekend routine. 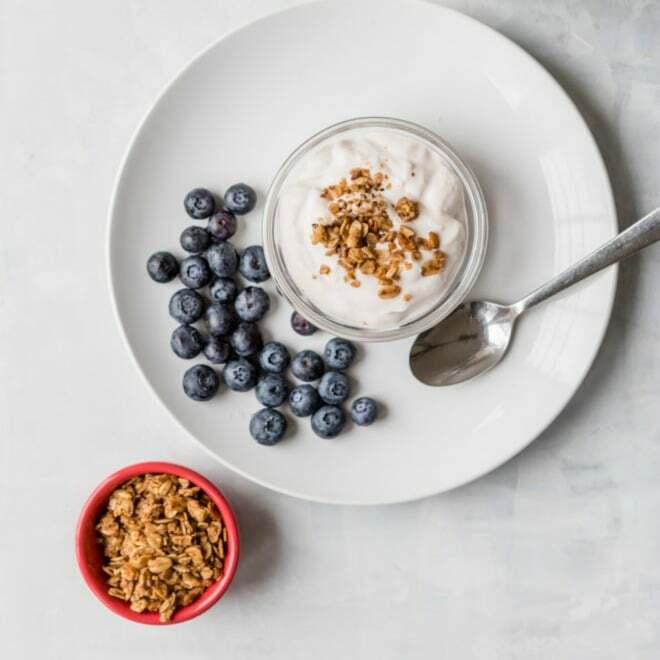 There are few things better than a fresh, toasted bagel topped with a shmear of chive cream cheese or butter, especially with the Sunday paper and a cup of coffee. Need a few more or less bagels? Click and slide the number next to ‘servings’ on the recipe card below to adjust the ingredients to match how many you’re feeding—the recipe does the math for you, it’s that easy. Is it hard to make bagels at home? Nope! As long as you’ve got the right ingredients and a little patience, you can do it. 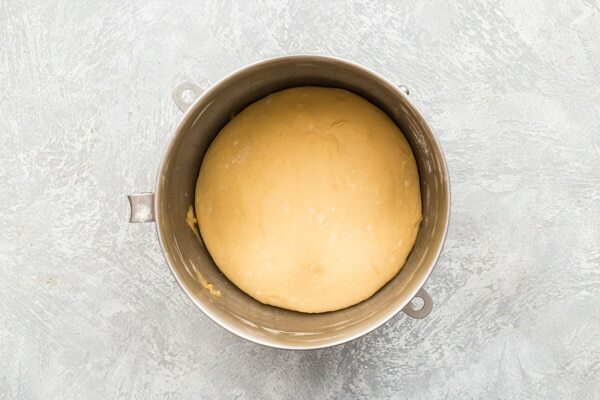 If you’ve ever mixed and kneaded any other dough, this will be a breeze to tackle at home. Once you make a batch, it will be hard to settle for any other grocery store bagel. How do you make your own bagels? After making a yeast based dough in a stand mixer, the bagel dough is left to rise in a warm place. Then it’s formed into bagel shapes, allowed to rise again, and gently boiled in water before baking. 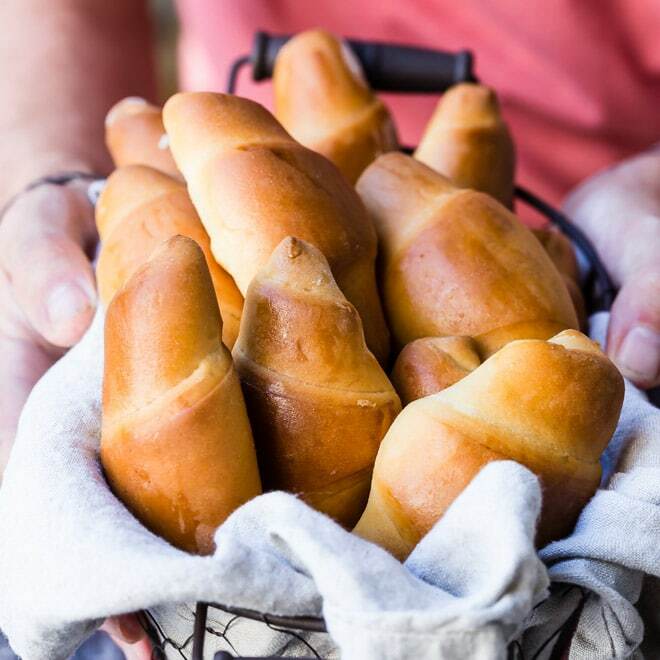 Bread flour has a higher protein content that’s well-suited for making breads, rolls, and (of course) bagels. Because of that extra protein, it’s important to knead the dough very well. When the dough is ready, it should be smooth, soft, and silky. 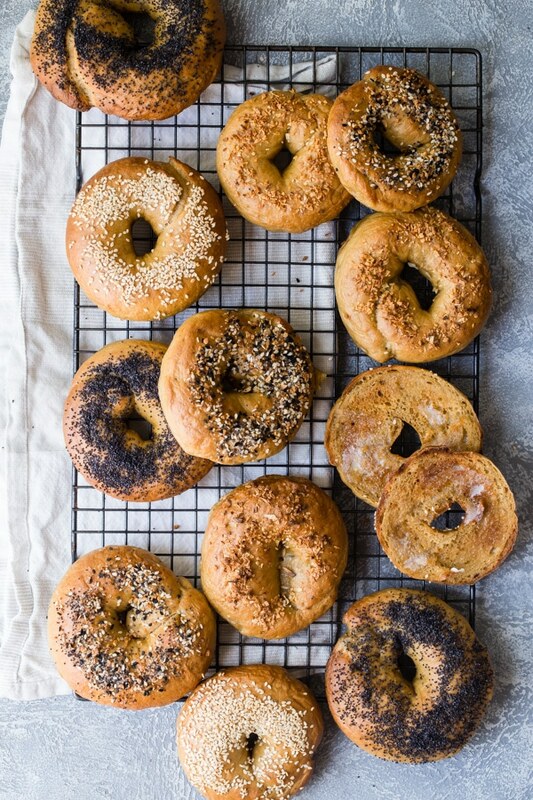 Barley malt syrup gives the bagels some color and gives them a glossy shine. It also gives them a classic bagel flavor and an improved shelf life— not that they’ll be on the shelf all that long! Barley malt syrup can be a little tricky to find, but you can order it here. Do you have to boil bagels? In order to get that chewy exterior and dense crumb that bagel aficionados revere, you gotta boil that bagel before baking! Otherwise, unfortunately, your bagel is just a dinner roll with a hole. Give the bagels a gentle simmer, without overcrowding the pan, for a thicker, chewier crust. Do you need lye to make bagels? Some bagel makers rely on a lye bath during their bagel making process, which helps the bagels get brown in the oven, much like pretzels. 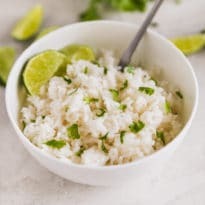 Lye can be difficult and even dangerous to work with, though, so in this recipe it’s not necessary. The barley malt syrup will help with the shine and texture. How large do bagel holes have to be? When I make bagels, I aim for quarter sized holes; but the larger the hole, the larger and flatter the bagel usually is. The smaller the hole, the puffier the bagel. How do you make bagel toppings stick? If you’re going all out with the toppings but need a little glue to hold them in place, try an egg wash. Bagels brushed with a bit of beaten egg white before topping will be shinier, and hold onto their toppings better. 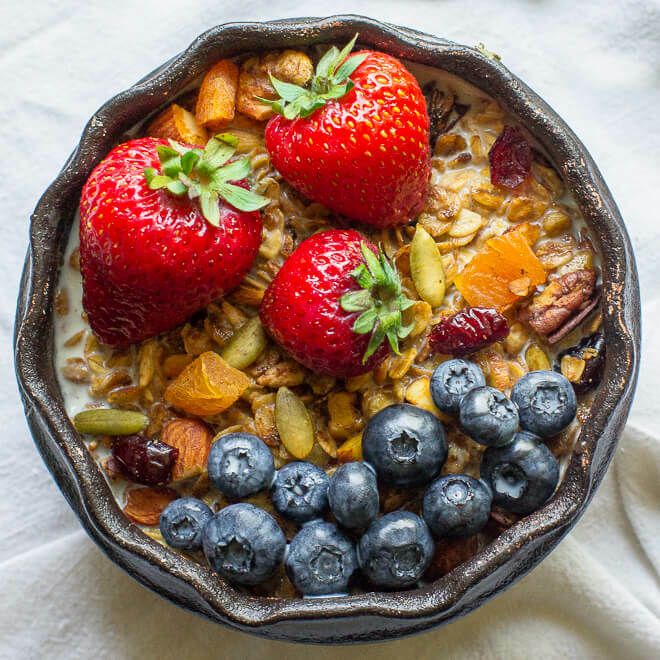 What other bagel toppings can you use? If you’d like to branch out from the Everything topping in the recipe, try shredded Asiago cheese and baking until they’re a deep golden brown. You could add poppy seeds, anise seeds, sesame seeds, caraway seeds, kosher salt, or chopped garlic. Can you add flavors to bagel dough? If you’re wondering, cream cheese isn’t the only thing that can be flavored. To make flavored bagels, add ingredients to the dough before kneading. 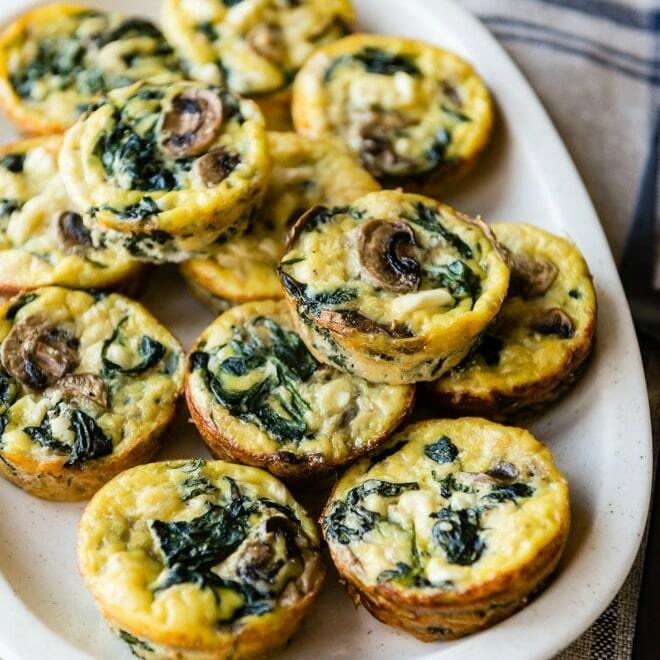 You could try adding bits of cooked chopped spinach, chopped fresh chive, garlic, or diced onions. For a cinnamon bagel, add up to a teaspoon of ground cinnamon to the dough, and maybe even a handful of raisins! Or make summer bagels with pesto, chopped sun-dried tomatoes, and pine nuts. 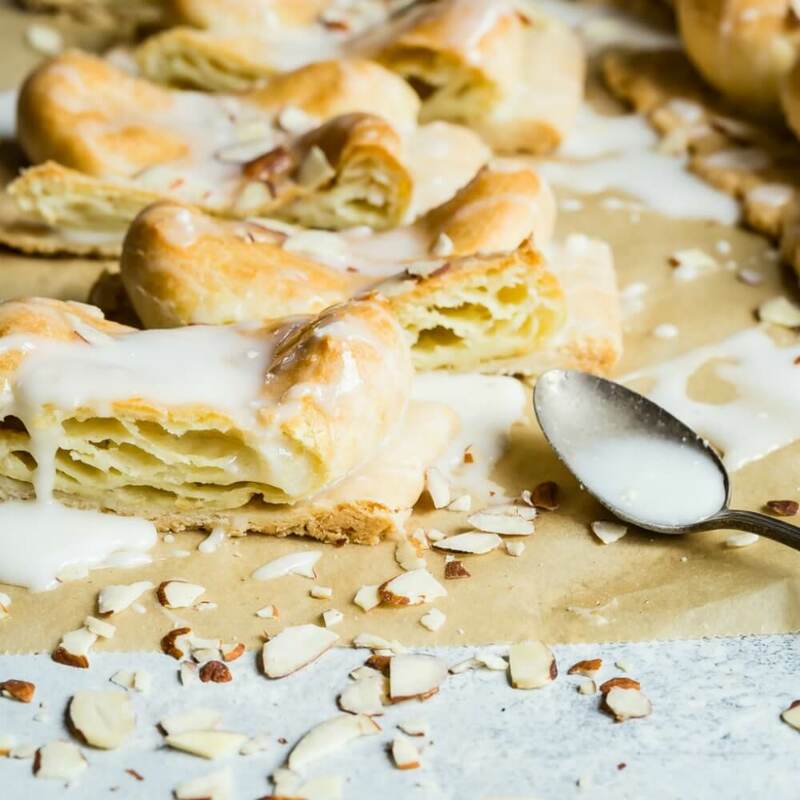 Where can I find parchment paper? An important baking tool for every chef, parchment paper keeps the bagels from sticking to the pan. Look in well-stocked grocery stores or find it here. When is the best time to make bagels? If you’re aiming for fresh bagels for breakfast, mix and shape the dough the night before. Immediately cover and refrigerate. In the morning, turn on the oven and bring the water to a boil, then remove and follow the boiling and baking as above. The bagels will not need to warm up or rise any further. 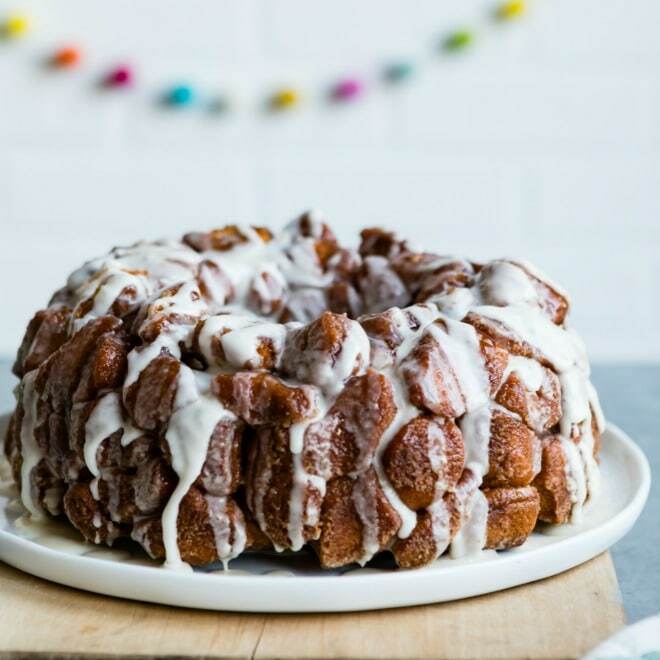 Just make sure there’s coffee and a lot of cream cheese! Yes! Baked bagels can successfully be frozen, as long as they’re wrapped or sealed up in an airtight zip-top freezer bag. Then all you have to do is leave them out at room temperature to thaw. 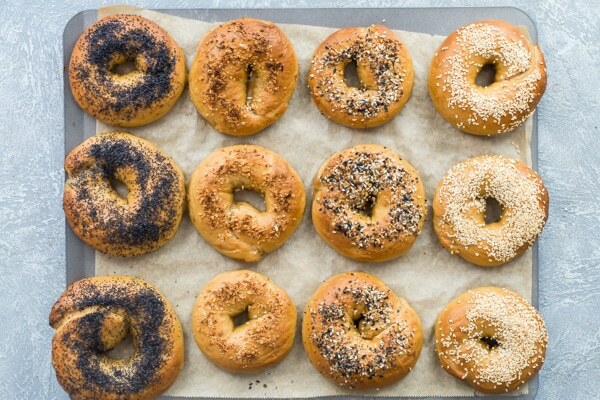 Save How to Make Bagels to your “Breakfast” Pinterest board! Soften (bloom) the yeast in the warm water for 5 minutes. 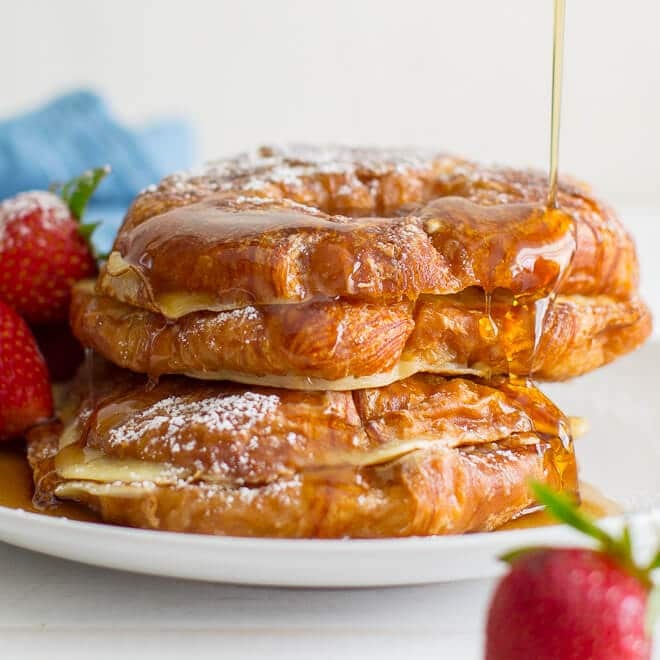 In an electric mixer fitted with the dough hook attachment, combine flour, 2 tablespoons barley malt syrup, sugar, and salt. With the motor running on low, slowly drizzle in the yeast mixture. Increase the mixer speed to medium and mix until shiny and smooth, 6 to 10 minutes. If the dough becomes stuck to the dough hook, scrape the dough off the hook and return to the bottom of the mixer bowl. Turn out the dough onto a dry surface and shape into a ball. 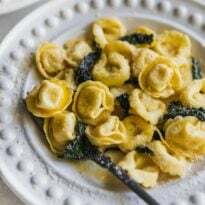 Place in a greased bowl and brush with olive oil. Cover the bowl with plastic wrap and let rise in a warm place (80 to 85 degrees, see notes) for 20 minutes (it will double in volume). Turn out the dough onto a dry surface and divide into 12 equal portions of dough. Working with 1 portion of a dough at a time, roll the dough into a 9-inch rope. Moisten the ends of each rope and wrap the dough around to form a circle. There should be a hole approximately the size of a quarter in the middle and the ends of the dough should overlap by at least 1 inch. Repeat with remaining portions. 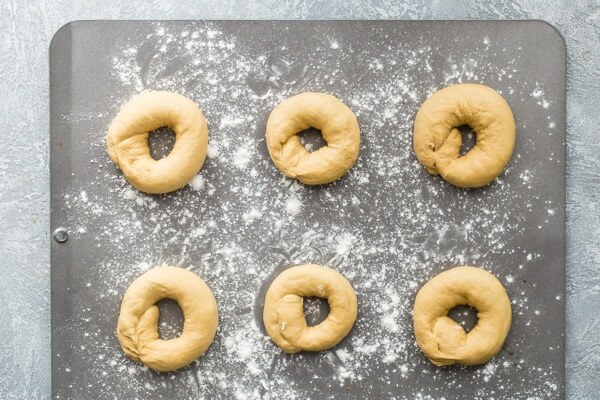 Cover the shaped bagels with a damp towel and let rise in a warm place (80 to 85 degrees) for another 10 minutes. Meanwhile, arrange a cooling rack over a baking sheet. Line a second baking sheet with parchment paper. 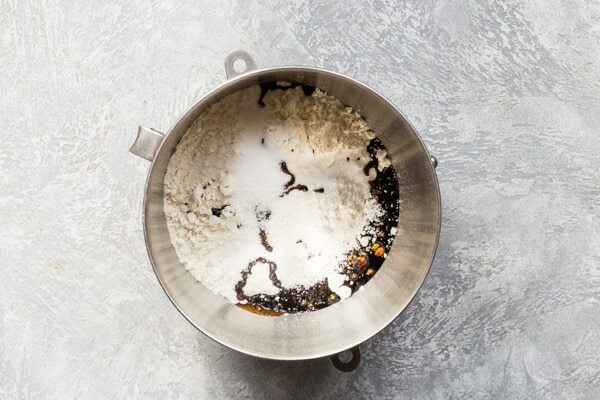 Bring a large, shallow pan of water and remaining 1 tablespoon barley malt syrup to a simmer. 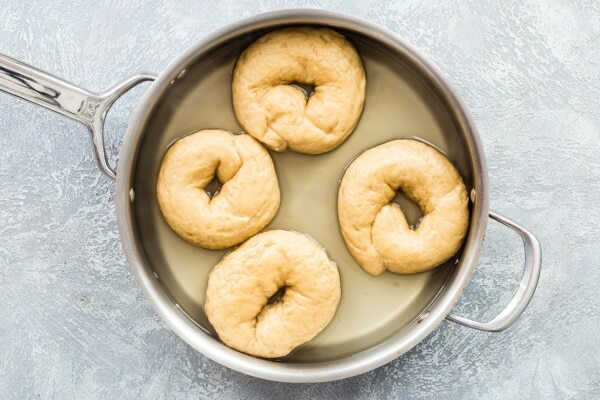 Boil the bagels in batches, 3 to 4 at a time, for 30 seconds on each side, adjusting the heat of the stove to maintain a simmer. Remove to the cooling rack set over a baking sheet and repeat with remaining bagels. Preheat the oven to 425 degrees. 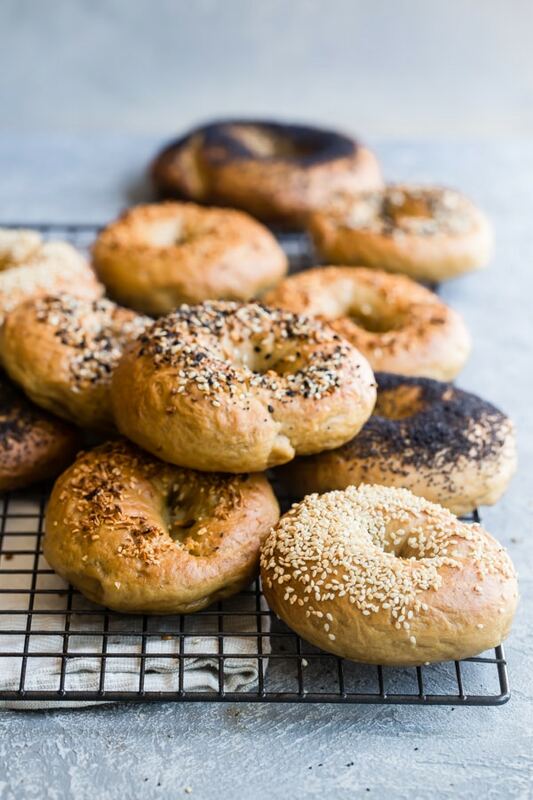 While the top of the bagels are still damp, sprinkle with Everything Bagel Seasoning, sesame seeds, poppy seeds, or coarse salt. Transfer the bagels to the parchment-lined baking sheet. Bake until the bagels are golden brown, about 20 to 25 minutes. Switch the positions and rotate the orientation of the sheets halfway through baking time. Remove from the oven and let rest for at least 30 minutes before serving. There are no good bagel places where I live, so this weekend I took the plunge and tackled a dozen at home. SUCCESS! I’m not going to open a store up anytime soon but at least we have REAL LIVE BAGELS IN THE HOUSE. Thanks for a fun how-to project, Meggan!